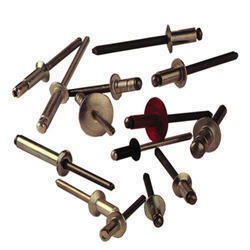 Leading Manufacturer of rivet fastener from Ahmedabad. Our organization bargains in the provider of Rivet Fastener. We supply the purchasers with the finest nature of bolt clasp as we, for the most part, apply aluminum substance, as it is less destructive, debilitates the association and sidesteps revolting rust steaks in correlation to steel substance. Our organization bargains in diverse hold range suitable for the buyer and our item always keeps up quality.